Robert Kubica has suffered another setback in his attempt to return to Formula 1 after breaking his right leg in an accident at his house in Italy. It is the same leg he broke in a high-speed rally crash almost a year ago. The Pole needs an operation to have a metal screw inserted just above his ankle and then faces a month in plaster. He is said to have lost his footing in the garden of his house in Pietrasanta, near the coastal town of Viareggio. Kubica missed the whole of the 2011 season following a crash during the first stage of the Ronde di Andora rally in February. The 27-year-old was driving a Super 2000-specification Skoda Fabia when his car left the road at high speed and hit a crash barrier, which pierced the car and caused Kubica's injuries. Having been cut out of the vehicle before being airlifted to hospital, the Pole underwent several operations to repair the damage to his partially severed right forearm and numerous fractures to his right elbow, shoulder and leg. He is now out of contract with his former team Renault, who have changed their name to Lotus this season, after it was announced last November that he would not be ready to return by the start of the season. Kubica is still hoping to make a comeback to F1 but it remains unclear when - or if - he will have sufficient mobility and feeling in his right hand to drive a grand prix car. Lotus have said that they would like to help him return, but they have already signed former world champion Kimi Raikkonen and novice Romain Grosjean for the 2012 season, and they have admitted their relationship with Kubica was at "point zero". Kubica, who was one of the most highly rated drivers in F1 before his accident, has also been linked with Ferrari. Team boss Stefano Domenicali was asked on Wednesday, before Kubica's latest injury became public, about the prospects of him joining Fernando Alonso at the Italian team in 2013. Domenicali said: "Robert is a great driver, but he had very severe injuries and he is still working to get back to normal living. We need to wait to see. That kind of injury takes a long time to recover from." Can Kubica make a successful return? 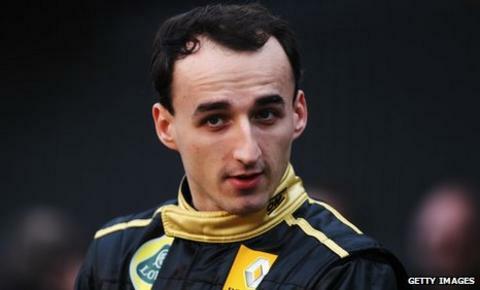 Read more on Can Kubica make a successful return?